Some people are overdoing it in search of better health. Vitamin D is having its day in the sun. In recent years, research has associated low blood levels of the vitamin with higher risks of everything from heart disease, diabetes, and cancer to mood disorders and dementia. The findings have not gone unnoticed. 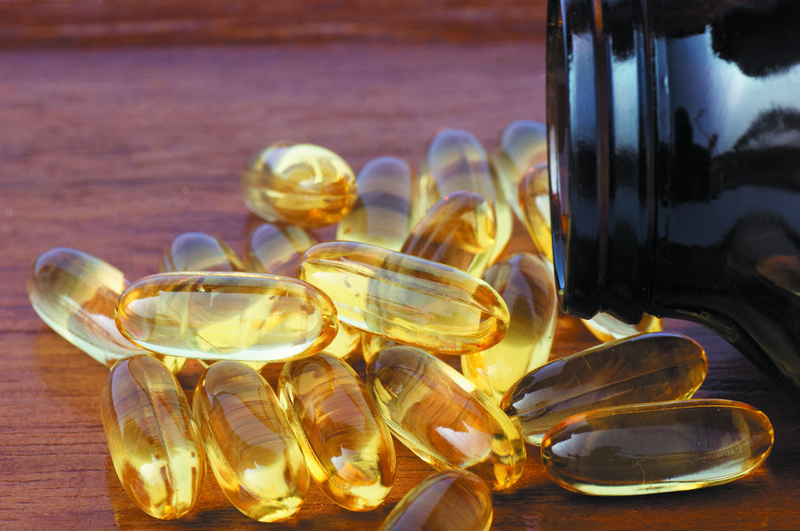 Vitamin D supplements and screening tests have surged in popularity. "Vitamin D testing is one of the top Medicare lab tests performed in the United States in recent years," says Dr. JoAnn E. Manson, the Michael and Lee Bell Professor of Women's Health at Harvard Medical School. "This is really surprising for a test that is recommended for only a small subset of the population." Unfortunately, this vitamin D trend isn't all blue skies. Some people are overdoing it with supplements. Researchers looking at national survey data gathered between 1999 and 2014 found a 2.8% uptick in the number of people taking potentially unsafe amounts of vitamin D — that is, more than 4,000 international units (IU) per day, according to a research letter published in the June 20 issue of The Journal of the American Medical Association (JAMA). And during the same time period there was nearly an 18% increase in the number of people taking 1,000 IU or more of vitamin D daily, which is also beyond the dose of 600 to 800 IU recommended for most people. Vitamin D, nicknamed the sunshine vitamin because your body produces it after sun exposure, has long been known to help build strong bones by increasing the body's absorption of calcium and phosphorous. But beginning in 2000, research into vitamin D's role in other health conditions began to expand rapidly. While there is strong support for vitamin D's role in bone health, the evidence that it prevents other health conditions is not yet conclusive, says Dr. Manson. "Research on vitamin D and calcium supplementation has been mixed and, especially when it comes to randomized clinical trials, has been generally disappointing to date," she says. Ongoing trials may provide additional information about the links between vitamin D and disease prevention. Dr. Manson is a principal investigator of the ongoing Vitamin D and Omega-3 Trial (VITAL), a large study (more than 25,000 participants nationwide) investigating whether vitamin D and omega-3 supplements can lower the risk of cancer, heart disease, and stroke. Where you live. If you live in the northern states (latitudes north of 37°), you are at higher risk for a vitamin D deficiency because your skin may not be able to produce any vitamin D from sun exposure during the winter months. Your age. Your skin's ability to produce vitamin D drops with age. If you're over age 65, you generate only one-fourth as much vitamin D as you did in your 20s. Your skin color. People with darker skin typically have lower levels of vitamin D than lighter-skinned individuals. African Americans have, on average, about half as much vitamin D in their blood compared with white Americans. Your weight. If you have a body mass index above 30, you may have low blood levels of vitamin D. Vitamin D is stored in fat, so in people with obesity, less of the vitamin circulates in the blood, where it's available for use by the body. The foods you eat. Very few foods naturally contain vitamin D. The U.S. government started a vitamin D milk fortification program in the 1930s to combat rickets, a bone-weakening disease caused by vitamin D deficiency, which was a major public health problem at the time. Breakfast cereals and some types of orange juice may also be fortified, but this varies by brand. So, the amount of vitamin D you get from food depends on the food you eat and how much milk you drink. Certain health conditions. People with conditions such as inflammatory bowel disease, liver disease, or cystic fibrosis, among others, may have trouble absorbing vitamin D, which can lead to deficiencies. Despite the fact that some studies have found an association between low blood levels of vitamin D and various diseases, it hasn't been proven conclusively that a vitamin D deficiency actually causes disease, says Dr. Manson. For example, a woman with a serious illness may have a vitamin D deficiency. But that may have developed because she spends little time outdoors being physically active or because she has a poor diet, both of which are risk factors for many diseases, as well as for deficiency, says Dr. Manson. Another issue is that diseases can cause inflammation, which can reduce vitamin D levels in the blood. Obesity, which has its own links to many conditions, can also reduce the amount of vitamin D in the blood because your body stores the vitamin in fat tissue, removing it from the bloodstream, where it would show up on tests. "Thus, a low vitamin D level may be a marker for other conditions, but not necessarily a direct cause of disease," says Dr. Manson. In addition to figuring out whether a lack of vitamin D causes disease, researchers still need to determine if taking a supplement can reduce these risks, says Dr. Manson. Although the research is still hazy, some women will benefit from taking vitamin D supplements, along with sufficient calcium intake, to promote their bone health. But they don't require large amounts of vitamin D to get the benefit. "More is not necessarily better. In fact, more can be worse," says Dr. Manson. For example, a 2010 study published in JAMA showed that intake of very high doses of vitamin D in older women was associated with more falls and fractures. In addition, taking a supplement that contains too much vitamin D can be toxic in rare cases. It can lead to hypercalcemia, a condition in which too much calcium builds up in the blood, potentially forming deposits in the arteries or soft tissues. It may also predispose women to painful kidney stones. If you're taking vitamin D supplements, the take-home message is moderation. Taking too much can limit the benefits of the sunshine vitamin. Watch your numbers. If you're taking a vitamin D supplement, you probably don't need more than 600 to 800 IU per day, which is adequate for most people. Some people may need a higher dose, however, including those with a bone health disorder and those with a condition that interferes with the absorption of vitamin D or calcium, says Dr. Manson. Unless your doctor recommends it, avoid taking more than 4,000 IU per day, which is considered the safe upper limit. Choose food over pills. If possible, it's better to get your vitamin D from food sources rather than supplements (see "Selected food sources of vitamin D.") Choose fortified dairy products (which have the nutrient added to the food), fatty fish, and sun-dried mushrooms, which are all high in vitamin D. The FDA is making it easier for you to see how much you're getting, thanks to new nutrition labels that will list the vitamin D content of foods. "Although the new labels are not mandated until July 2018, some products are expected to have them soon," says Dr. Manson. Let your doctor know. "Many people are taking high-dose supplements on their own and their doctors may not even be aware of it," says Dr. Manson. Discuss supplement use with your doctor to ensure that the amount you're taking is appropriate for your needs. If you have a well-balanced diet, which regularly includes good sources of vitamin D, you may not need a supplement at all. Do you need a vitamin D screening?